Easily accessible from Europe, Trondheim is a city of education and research. The lively, historic university town has great facilities for congresses and conferences. It has a rich selection of hotels, meeting and exhibition centres and is host to a large number of national and international conferences affiliated with the city's thriving technology sector. Situated in the middle of the country, it has good domestic and international connections. Trondheim Airport Værnes is located only a 30-minute drive from the city centre and there are direct flights from many European cities. 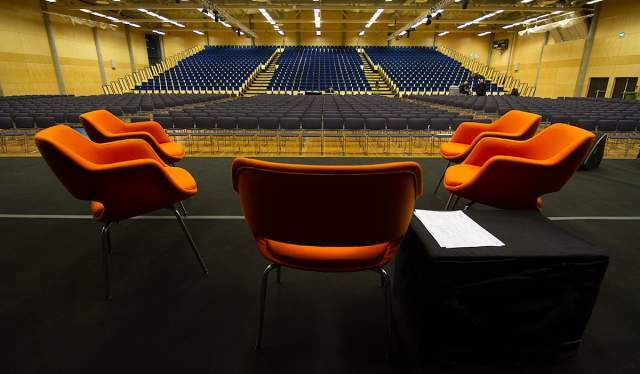 As a well-established conference city, there are many tailor-made meetings incentives to choose from, many of which take advantage of the beautiful surroundings and introduce you and your team to typical Norwegian traditions. Trondheim was Norway's first capital, founded by Viking King Olav Tryggvason in 997. Today, it is the third largest city in the country and still the city where new kings receive their ceremonial blessings. It has been, and still is, a popular pilgrimage site. It is a regional capital and last but not least, a city of education and research. Both Microsoft and Yahoo have development departments located in Trondheim. Situated in the county of Sør-Trøndelag, Trondheim is pretty far north. In fact it is only 500 kilometres from the Arctic Circle, but the warm Gulf Stream blesses Trondheim with a fairly mild climate. Trondheim has a rich history, a lively cultural life and pristine nature. Explore our incentive programme suggestions and relax the Nordic way. The Norwegian State Railways, NSB, operates four daily trains between Oslo and Trondheim on the Dovre line. The journey takes approximately 7 hours. Trondheim can also be easily reached by train from many other Norwegian cities. Ad: Check out NSB’s webpage for prices and timetables. There are several daily bus departures from Oslo and other major cities to Trondheim. Travel time from Oslo is around 8 hours. Both north-bound and south-bound, Hurtigruten, The Norwegian Coastal Voyage, calls daily at Trondheim. The Norwegian north-south highway E6 passes Trondheim, while the coastal highway E39 has its terminus at Klett, 10 km south of Trondheim. Ad: AutoEurope - always a smooth rental experience. Bus travel in Trondheim is operated by AtB, which offers a network of routes covering nearly all of the city. There are frequent departures during the day, less frequent during evenings. Trondheim Airport Værnes serves international and national flights. From the airport you can go by express bus or train to Trondheim. Ad: Widerøe - the largest regional airline in Scandinavia. Hertz Car Rental offers cars 7 days a week in Trondheim City Centre or at Trondheim Airport Værnes. Norway welcomes hundreds of direct flights from Europe and provides good access from the rest of the continent by rail, road and ferry. Norway boasts modern conference venues close to nature and a wide array of incentive activities that make for truly memorable meetings.